Legacy Recordings, a division of Sony Music Entertainment, will release “Johnny Cash: Forever Words”…a collaborative album consisting of songs created from Johnny Cash’s unknown poetry, lyrics, and letters set to music by an astounding array of contemporary artists…on Friday, April 6th. “Johnny Cash: Forever Words” will be available on CD, 2LP Vinyl and Digital formats…pre-order the album here. When Johnny Cash and June Carter Cash passed, they left behind what John Carter Cash, their son and “Johnny Cash: Forever Words” will co-producer, describes as a “monstrous amassment” of things, including a treasure trove of undiscovered material that includes Johnny Cash’s handwritten letters, poems and documents, penned across the entirety of his life. Over the past two years, album producers John Carter Cash and Steve Berkowitz invited a stellar cast of musicians to create new music to accompany these newly discovered Cash writings. 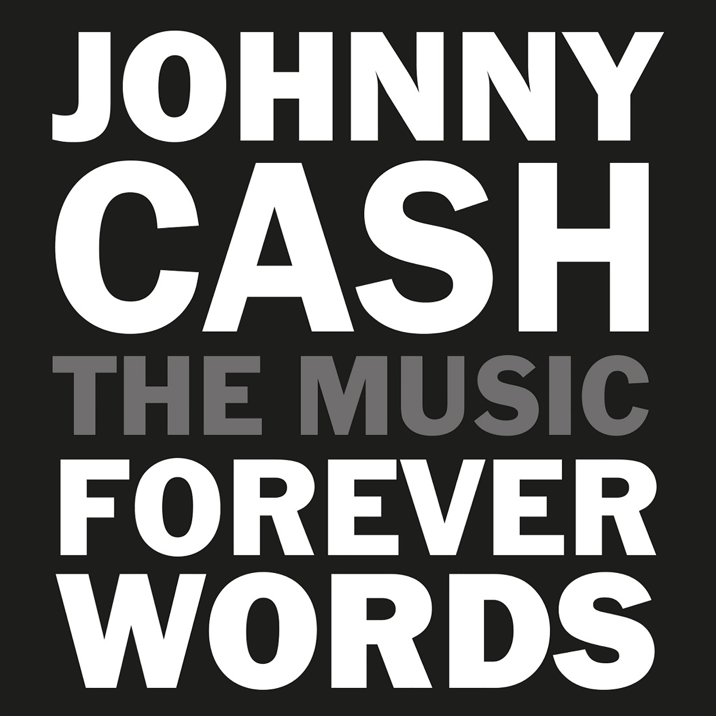 Recorded primarily at The Cash Cabin Studio in Hendersonville, Tennessee, “Johnny Cash: Forever Words” will is also the musical companion to the best-selling “Forever Words: The Unknown Poems,” a volume of Cash’s unpublished writing edited by Pulitzer Prize-winning poet Paul Muldoon and curated by John Carter Cash and Steve Berkowitz. Many of the songs on “Johnny Cash: Forever Words” were directly inspired by material in the book while others are drawn from different sources of Cash’s unpublished writings. The tone of the album is established with the opening track “Forever/I Still Miss Someone” featuring Kris Kristofferson reciting the last poem Cash ever wrote alongside guitar accompaniment from Willie Nelson, both lifelong friends of Johnny. Continuing the close-to-home theme, the music then transitions to the deeply personal “To June This Morning,” a letter Johnny wrote to his wife, June Carter Cash, now interpreted by real-life couple Ruston Kelly and Kacey Musgraves. Twenty-one years after Johnny Cash recorded his cover of Soundgarden’s “Rusty Cage” for his Grammy Award winning album, “Unchained”, Chris Cornell continues this special relationship with “You Never Knew My Mind,” setting some of Cash’s own poignant and introspective words to original music on one of Cornell’s last solo recordings. The album also showcases Rosanne Cash, Johnny Cash’s eldest daughter, who interpreted her father’s “The Walking Wounded,” marking just the second time that she has collaborated on a record with her half-brother John Carter Cash. The Grammy Award winning bluegrass super-group Alison Krauss & Union Station made a rare recording together on “The Captain’s Daughter,” the group’s first new studio recording in six years. When making the “Johnny Cash: Forever Words” album, producers John Carter Cash and Steve Berkowitz tapped into a spirit of musical collaboration between the musicians and the words of Johnny Cash. 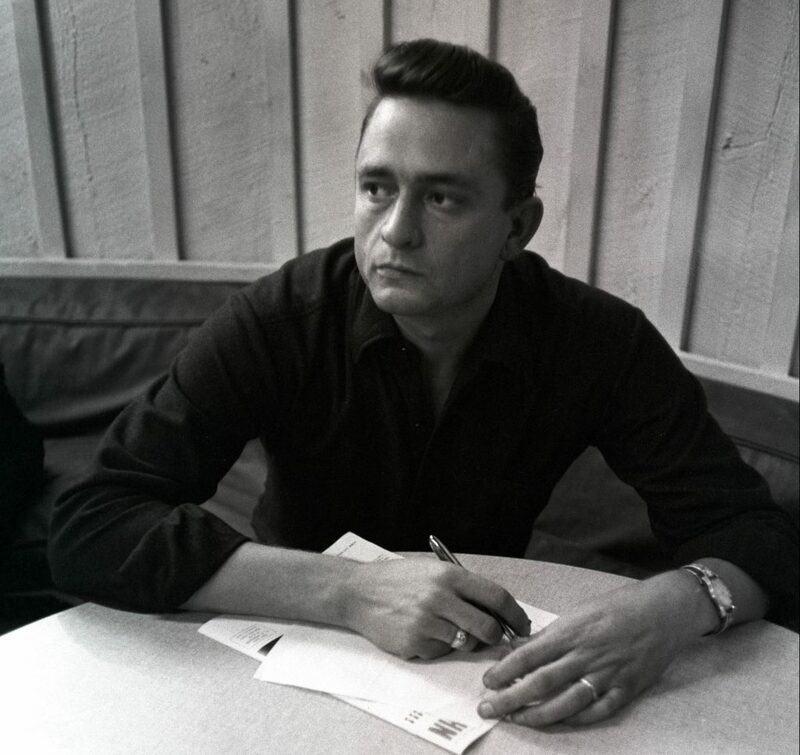 The goal of “Johnny Cash: Forever Words” was not to create a “lost” Johnny Cash album, but rather for musicians to connect with these poems and allow them to flourish in a new musical world. For future Johnny Cash and “Johnny Cash: Forever Words” news visit the website and follow them on Facebook and Twitter.